The animated adaptation of Invincible just made a huge step toward becoming a reality. Amazon has confirmed the majority of the Invincible voice cast, which features a ton of big names taking part in the highly anticipate Amazon Prime series. Leading the Invincible voice cast are Steven Yeun as Mark Grayson and J.K. Simmons as his father, Omni-Man. Yeun you’ll likely best know for his portrayal of Glenn on The Walking Dead. And J.K. Simmons you’ll recognize as just being the completely awesome J.K. Simmons. If you’re unfamiliar with the source material, Invincible is a superhero comic that comes to us from The Walking Dead creator, Robert Kirkman, and his collaborators Cory Walker and artist Ryan Ottley. Kirkman’s Skybound team will produce. It’s not just Yeun and Simmons who are names of note within the Invincible voice cast. The roster of talent that has signed on is absolutely star-studded. Amazon has confirmed the voices of Sandra Oh, Seth Rogen, Gillian Jacobs, Andrew Rannells, Zazie Beetz, Mark Hamill, Walton Goggins, Jason Mantzoukas, Mae Whitman, Chris Diamantopoulos, Melise, Kevin Michael Richardson, Grey Griffin, and Max Burkholder. Amazon’s animated Invincible series will be developed as eight hour-long episodes. The streaming platform is targeting a global release window for sometime this year. 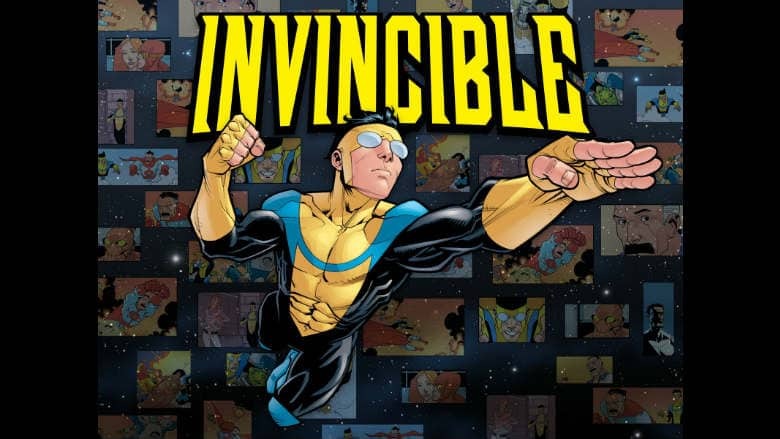 With the amount of money the studio has likely sunk into voice talent, it’s pretty obvious that Amazon is looking for Invincible to have some massive success.